Kidney function declined 83 percent higher in smokers compared to those who had never smoked. The rate of kidney decline worsened with more smoking: those who smoked up to 19 cigarettes daily had 75 percent greater decline in kidney function and those who smoked 20 or more cigarettes a day had a 97 percent greater decline in kidney function. Smokers had 38 percent higher inflammation levels compared to non-smokers. African-Americans are disproportionately affected by chronic kidney disease because of higher rates of hypertension, obesity and diabetes, and may be more susceptible to adverse effects of smoking to the kidneys. Yet little data exist examining the effects of smoking and kidney disease among African-Americans. While blacks are less likely than whites to smoke, their metabolism of substances in cigarettes also differs compared with other ethnic groups. 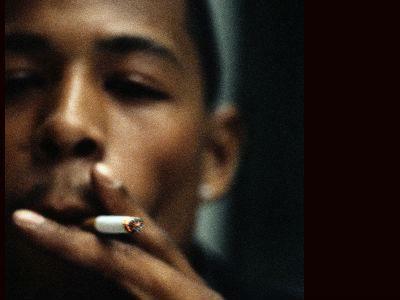 Menthol-flavored cigarettes — popular among many African-American smokers — has been associated with increased concentrations of blood cadmium, a toxic metal used in protective coatings. Exposure to low levels of the metal has also been linked to kidney damage.